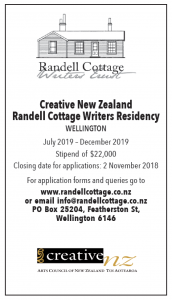 Come and visit one of the oldest settler cottages in Wellington built in 1867, now administered by the Randell Cottage Writers Trust and home to New Zealand and French writers in residence. 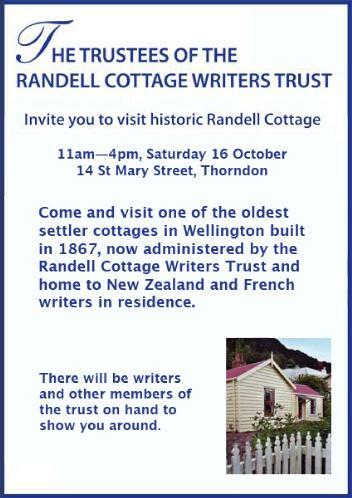 There will be writers and other members of the trust on hand to show you around. This entry was posted in Cottage and tagged Open Day. Bookmark the permalink.